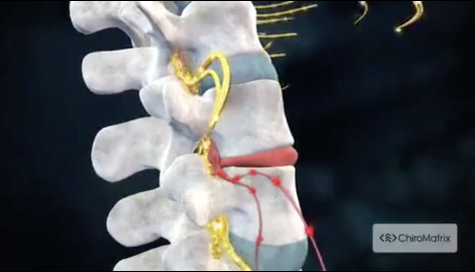 Disc herniations, Whiplash, Joint pain, Muscle strain, Tendonitis, etc. Schedule an appointment within 14 days of your automobile accident! Ask about our affordable health care offers! Accepting Most Health Insurance Providers! Call us to verify benefits over the phone. Call or send us an E-Mail today! Our office will respond as soon as possible. Our new patient forms are available online so they can be completed at your convenience. We will accommodate your busy schedule. Schedule an appointment today! We provide comprehensive care for our everyone. Learn more about all the health care services we provide. Dr. Frank Reinhardt and Dr. Mark Wieland are chiropractors serving St. Petersburg, Gulfport, South Pasadena, and the surrounding area. 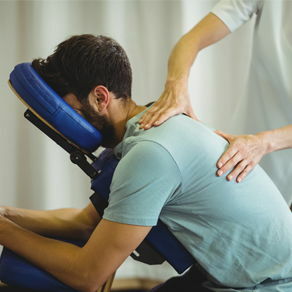 Our chiropractors and the rest of the welcoming team at Chiropractic Injury Solutions are committed to providing chiropractic therapy to address your unique needs, whether you are experiencing back pain, neck pain, headaches, or even muscular tightness and tension. You may be searching for pain relief after an automobile accident, experiencing an injury, or if you suffer from a specific condition such as chronic neck and back pain, arthritis, disc herniations, headaches, or other spinal conditions. Our doctors also offer specific treatments including: laser therapy, vibration plate therapy, exercise rehabilitation, Graston (an instrument-assisted soft tissue manual therapy), and Kinesiotaping. If you would like to know more about what we do, please email us or call 727-343-3959 to receive the answers to your questions from our experienced team. We also welcome referrals, so we invite you to share our chiropractic information with your friends and family. Don't forget to like us on Facebook or find us at our Google page at Chiropractic Injury Solutions for up-to-date news! Dr. Frank Reinhardt, D.C. | Dr. Mark Wieland, D.C.
Sign-up using the form or call us at 727-343-3959 to take advantage of this exclusive offer. Dr. Reinhardt was born and raised in Chicago, IL. He went to Southern Illinois University – Carbondale where he received his Bachelors of Science in Exercise Science. In 2010, he received another Bachelors of Science in Life Science from Logan College. Dr. Reinhardt graduated from Logan College of Chiropractic in 2012 with a Doctorate of Chiropractic. Dr. Wieland is a native of Pinellas County, married with three children. He is a 1985 graduate of National College of Chiropractic in Lombard Illinois with over 30 years of experience practicing in Pinellas County. With his private practice, Dr. Wieland is also an Assistant Professor at National University’s Chiropractic College in St. Petersburg an affiliate of SPC University Partnership Center. "Dr. Reinhardt was so nice and very professional. He took his time to talk with me and find exactly what was causing my neck stiffness. He didn't rush my appointment at all and even stayed in the room with me and chatted while the heating pad and TENS were working on me. It's also very nice that he offers great deals on Groupon! I would recommend him over any other chiropractor in the area."